Handsome two bedroom, one bath with a one car garage. Great starter home with a simple and welcoming floor plan. 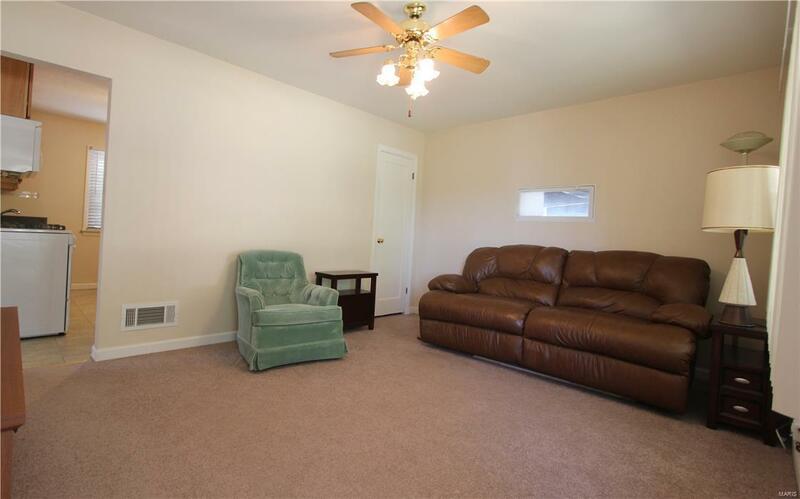 Carpeted LR has coat closet and large picture window. Eat in kitchen with an abundance of cabinetry, a pantry, ample counter space. 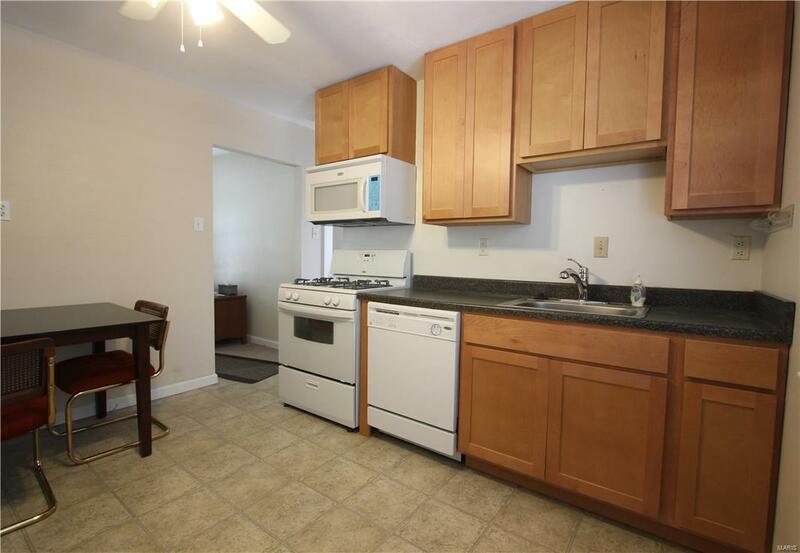 Appliances stay;gas stove, built-in microwave, dishwasher. 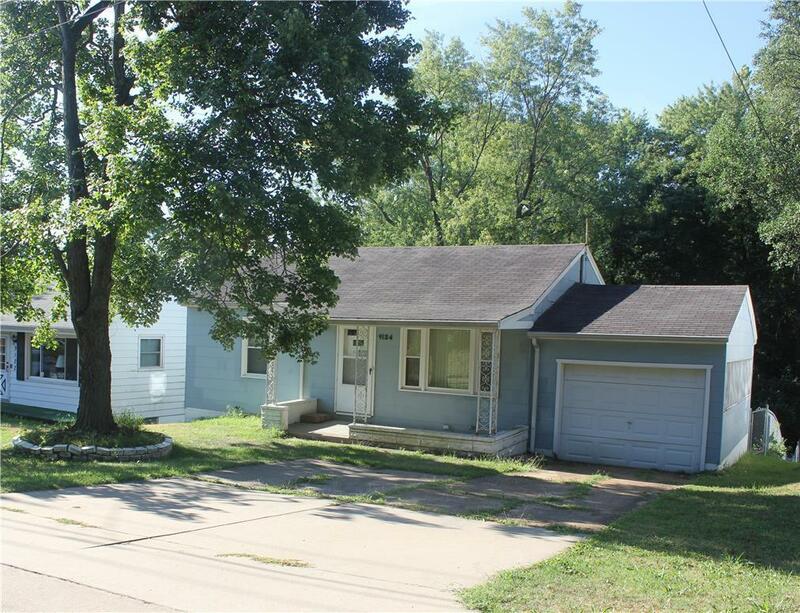 Side door leads to wood deck, amazing large fenced in yard with shed. Ceramic tile hallway bath with modern features. 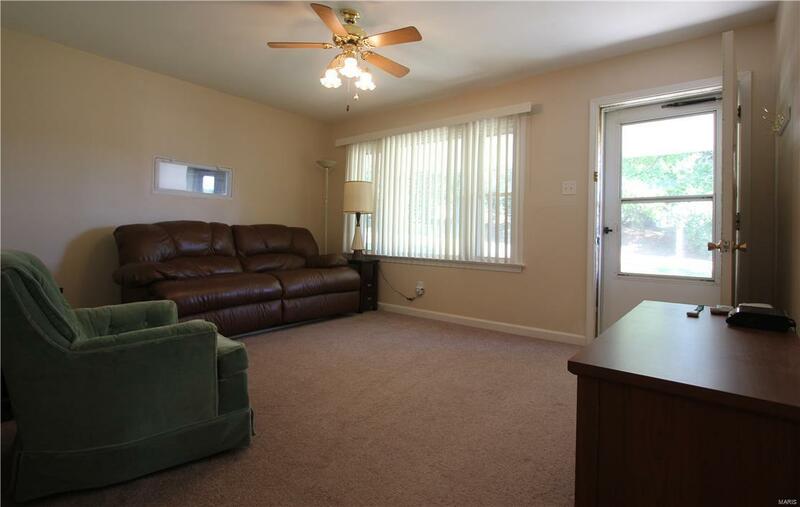 Two spacious carpeted bedrooms with roomy closet space. HARDWOOD under the carpet in all rooms. Walk out - Lower level walk out has two rooms, utility area with furnace, sump pump, and systems. Laundry area with laundry sink, and storage under stairs. The exterior is simply landscaped, has a concrete driveway and a spacious front porch patio. Back yard is huge, fenced and backs to trees creating privacy. There is a wood deck for entertaining. One car garage with remote for door. Vinyl tilt windows,window treatments and ceiling fans in all rooms. CLEAR OCCUPANCY.